Kale & Ale, founded in 2017, celebrates food, beer and music throughout the United States. Its mission to bring communities together with a unique tasting experience is supported by partnerships established with some of Cleveland’s most well-reviewed farm-to-table restaurants and craft breweries. 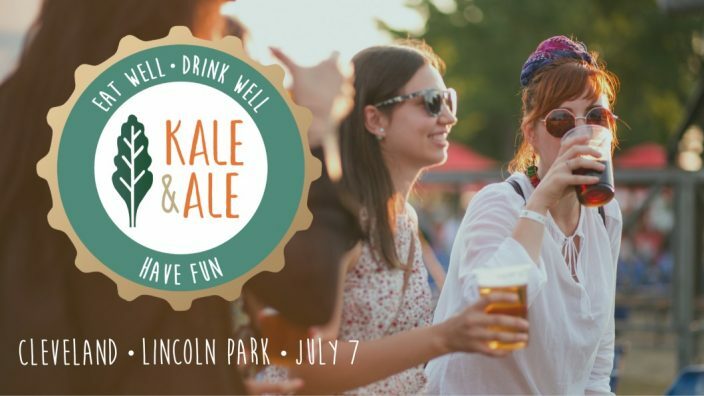 Kale & Ale Festival highlights the “Think Global, Act Local” movement. In this spirit, Founder, Amie Sparks, announced a partnership with the Hunger Network of Greater Cleveland, whose mission is to reduce hunger and enhance nutrition in the Cleveland community by providing food and other health-related vital services to individuals and families by actively and effectively participating in a coordinated response to people in need. Eight percent of festival proceeds and 100 percent of T-shirt sales will benefit the Hunger Network of Greater Cleveland. General Admission tickets provide festival entry & tasting of up to 84 oz of beer. Choose from 4 oz or 12 oz pours, with flights available for sampling. Ticket also includes 14-21 (total quantity to be determined by restaurant offerings) food samples. Vegetarian, vegan and gluten free* options available. Enjoy live entertainment throughout the festival from local bands. Seating is limited, so come early or consider VIP tickets to reserve a table. VIP tickets include beer and food sampling, as detailed above, but with reserved seating and designated wait staff. No waiting in lines or losing your seats! Quantity is limited. Admission to festival, food sampling, and all the soda and water you can drink. Quantity is limited.